This theme may sound unusual even compared to some other board games, but the historical Polish theme is more understandable when you know the game is by Karol Madaj the designer of Kolejka (Queue) – one of my favourite games ever – who designs games for Poland’s Institute of National Remembrance. One of their goals is to mark important moments in Polish history. Strike is a game about Lech Wałęsa – a Polish electrician who became a trade-union activist, co-founded Solidarity (the Soviet bloc’s first independent trade union) and even became President of Poland. 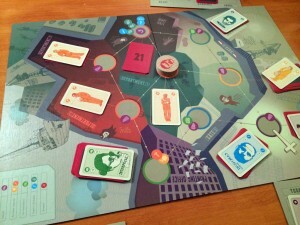 The game focuses on the Polish strikes of 1980 and the agreement reached between the workers and the government. The game is by the designer of Kolejka (Queue) which is one of my favourite games and which also has a historical Polish theme. 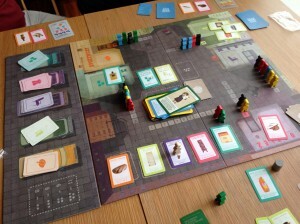 The game itself has a deck-building game mechanic at its centre but the game has a difference. On their turn, a player uses their cards to move Lech Wałęsa around the board and gain better cards by using cards in their hand. The first player to gain 2 agreement cards wins (in the real events, 21 demands were made of the government by the workers and these cards represent agreement to these demands). The reason this seems a bit different is because there is only one Lech Wałęsa on the board and each player continues moving them from wherever they have been left by the previous player. Letnisko (Summer Resort) is a game by the designer of Kolejka (Queue) which is one of my favourite games. 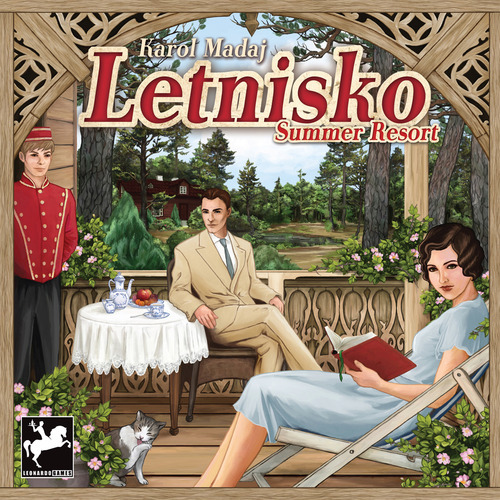 In Letnisko, players are running a summer resort near Warsaw in the 1930’s. Each player starts with 2 plots of lands and one of these has a cottage on it. During the game, players will buy new plots and build bigger and more varied accommodations which will attract and suit different types of vacationers. Each round the train arrives with vacationers. Vacationer cards are drawn based on the number and type of accommodations that have been built so far, plus an extra amount are drawn based on that round’s weather card. These are shuffled and dealt out onto the train’s carriages in sequence. If there are lots of vacationers then there will be more than one vacationer in some carriages.